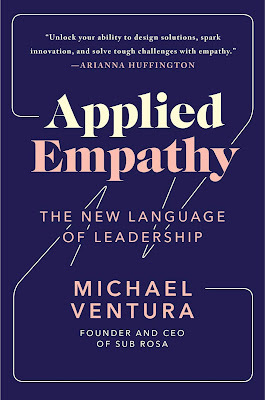 Michael Ventura has been brought in by big companies like Nike, General Electric, and Google, as well as the United Nations and West Point, to help them apply empathy to better connect their brands, their messages, and their campaigns with their audience or customers. 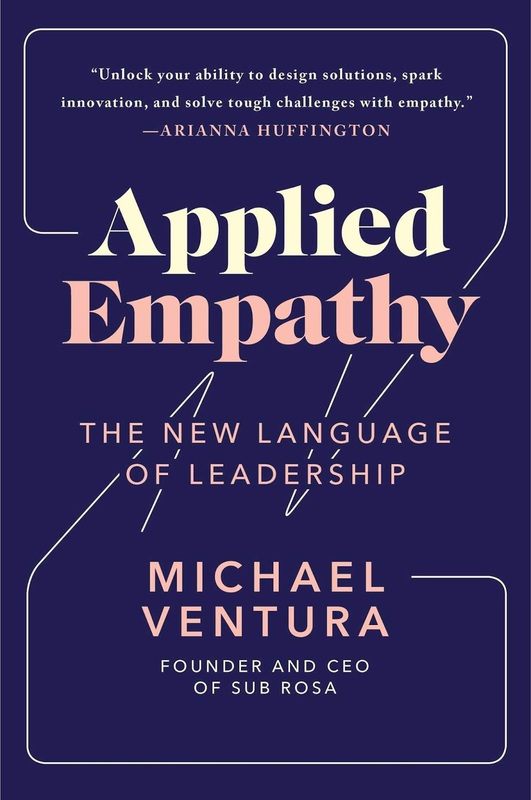 Ventura is an entrepreneur and the CEO of award-winning strategy and design practice Sub Rosa, and he shares the strategies he brings to the world's leading organizations in his new book, Applied Empathy: The New Language Of Leadership. These strategies help the management of these entities to develop a deep understanding of their consumers, colleagues with a leadership philosophy that's more dynamic. When Ventura was 23 years old, he started his first business. At 28, he launched Sub Rosa, a strategy and design studio that has worked with some of the world's largest and most important brands, organizations, and start-ups, from Citi to Adobe to TED to the White House. In addition, Ventura has served as a board member of and advisor to a variety of organizations, including Behance, the Burning Man Project, The Smithsonian's Cooper Hewitt National Design Museum, and the United Nations-affiliated Tribal Link Foundation. 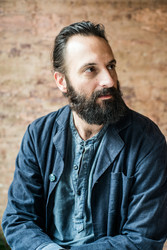 In Applied Empathy, Ventura uses revealing case studies from Sub Rosa's work, such as guiding Levi's to reconnect with its pioneer roots to working with West Point cadets to helping Pantone see themselves as more than an ink and chemical company, to show show how powerful empathy can be for innovation, connection, and growth. CREATE consumer experiences that will be remembered. Change is always hard, and in our current times, where every mistake is magnified in an instant, it can feel even more difficult to experiment and communicate openly. This is where applying empathy can help. It is not about being nice or having pity or sympathy either. It is the ability to look at the world through someone else's eyes and find thoughtful solutions that have integrity. THE SAGE inhabits here and now: The Sage represents wisdom and the ability to be fully in the moment and what is meant to be taken away. Look to the Sage when a situation becomes untethered from the present and disconnected from reality. Relying on this archetype will help you bring people and their ideas back to the here and now. THE INQUIRER interrogates assumed truths: The Inquirer is one part reporter and one part therapist. This archetype challenges preconceived notions and pushes for deeper, more authentic truths. Inquirers neglect small talk in favor of "big" talk; deep questions that demand contemplative responses. Always intrigued by the "why" behind each answer, inquirers dig and dig until they reach the root. THE CONVENER anticipates the needs of others: The consummate host, the Conveyer understands the importance of space and space holding. Recognizing that every detail is critical, the Convener creates a purposeful, appropriate setting for the work at hand. The space we share is an active member of the experience. The Convener anticipates what you need before you do and brings the space surrounding you to life. THE ALCHEMIST tests and learns at all costs: Never afraid to fail in the pursuit of knowledge, the Alchemist tests everything, confident that the best work comes only from countless hours of experimentation. the Alchemist is curious, persistent, and patient, takes a chance on a new approach, and closely studies the results. Turn to the Alchemist when the only path to a solution lies through the brambles of resistance. THE CONFIDANT listens, observes, and absorbs: Your trusted ally, the Confidant hears to listen - instead of simultaneously planning what to say next. The Confidant embodies stillness; listens, observes, and absorbs. Keeping what you hear safe on behalf of another is what gives them a sense of integrity and strength. Look to the Confidant when asked for advice or when others need to share something of importance. The Confidant provides emotional security and comfort. THE SEEKER is confident and fearless: A boundless explorer, the Seeker bravely sets out on new adventures. The Seeker lives outside his or her comfort zone, acting with confidence and self-assurance. Embody the Seeker when embracing new experiences and daunting challenges, knowing that unfettering your pursuits will eventually lead you to the answer. THE CULTIVATOR nurtures with purpose and intentionally grows: The Cultivator is committed to developing ideas and is intentional about every action. Through the Cultivator, you can connect everything you do to the development and maintenance of your thoughts and work. When something feels daunting and protracted, look to the Cultivator to provide perspective and leadership. Naturally gifted at seeing the greater purpose, the Cultivator knows what it takes to reap what he or she has sown.